Feed is a suite of tools to assist in preparing content for ingest into HathiTrust. Fedora digital objects can be encoded in several XML formats for ingest and export. Foreign body ingestion is not uncommon in clinical practice, and it may occasionally lead to penetration injuries. American Academy of Pediatrics (AAP) gives important instructions about what to do if a child has ingested poison. In the context of computer science, ingest seems to have acquired a meaning similar to input. Data ingestion is the process of obtaining, importing, and processing data for later use or storage in a database. This process often involves altering individual files by editing their content and/or formatting them to fit into a larger document. Maeve, I agree completely that those misuses of the word “ingrest” are abominable and unacceptable. I am convinced that some of the missteps in usage like this odd meaning for ingest are the responsibility of nonnative speakers of English who translate words from their own languages into English words that do not have the same meanings in English. Also, there are plenty of words in English that a “false cognates” with words in German or French. This means that the words look identical or very close, but there meanings are quite different. I got a lot of enjoyment out of reading a whole book called GERMAN FALSE COGNATES, which was all about words in German that do not mean the same thing in English. Prominent exampes Gift, Mist, Strippe, and Strand. Gift = poison, Mist = manure, and also Strippe is a slang word for telephone. In German, this is regularly called Fernsprecher or Telephone. “Strand” does not have to poetical meaning of “beach” as it does in English. “A romantic stroll on the strand” has to be expressed differently in German. I’m sorry about misspelling “ingest”. Perhaps we should take the new meaning of ingest injest. ‘Ingestion’ is not the same thing as, or a bastardisation of, ‘input’ in “computer jargon”. Ingestion is properly termed because it involves the (often automated) gathering (‘absorbing’) of existing data from source(s), while Input involves the actual entering of data. Say you want your visitors to complete a website survey. They ‘input’ their answers. Your software ‘ingests’ the replies and metadata, and organizes it according to the perimeters you established. It then ‘outputs’ the results to you in the format you chose. Or consider how Photoshop ingests pictures from your camera. You input any necessary commands; the program ingests the pictures from the camera, and organizes them as your input instructed (naming convention, organization, etc.). As Nick Trusiewicz points out, ‘import’ would be more correct in several of the examples. 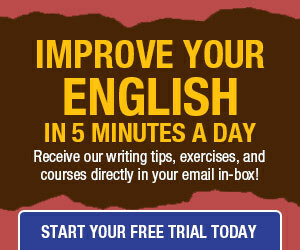 In other cases, the writers use ‘ingest’ in the wrong sentence structure. I hope the data did not give the writer indigestion. 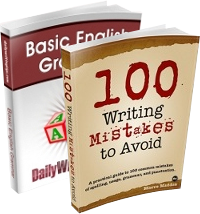 Writers frequently make similar mistakes by failing to write in active voice. The above examples all confuse the actor, the action, and the target of the action. If all techies wrote code the way they encode English, we’d still be using paper, pencil, and slide rule. Did the writer of this comment mean “parameters”? It seems that absorbing (or ingesting) geekisms into what used to be English (Geeklish?) is going to take a little time. The latter sentence, at least, needs to use a noun, “for ingestion and export” regardless of what the “author” wants ingest to mean. The former perhaps too, depending on what is meant. All in all, it’s irritating when geeks of whatever kind pirate perfectly good words from the language to apply unnecessary and confusing meanings to them just because they are too lazy a/o uneducated to invent their own vocabulary. Excellent point. In fact, if they were as sloppy about code-writing as they are about pretty much everything else, etc. The meaning of old words often expands to cover new language needs, and this is a good thing as long as the speaker and listener understand each other. What is “jargon” today can become common speech in the future — depending on need. As technology becomes more complex, more language will be changed or created to describe it. The word ‘ingest’ will eventually encompass the wider meaning of “to take in” rather than its current limited usage. Yes. No excuse for not being more careful.